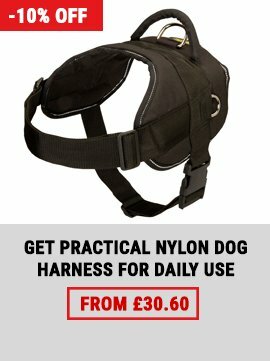 Do you think heavy-duty dog collars for training are always simple and ugly? You will change your mind once you see it! 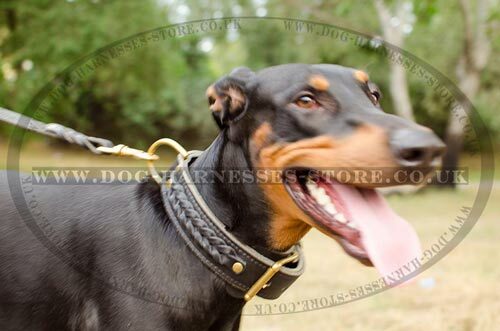 This Doberman collar is produced of 2-ply leather strap for especially long service term. 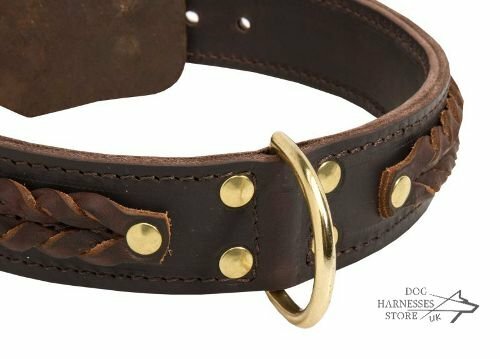 It is equipped with luxury non-rusty brass hardware. 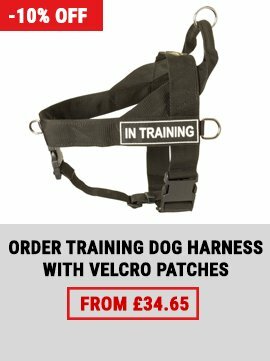 The buckle and D-ring can withstand extremely hard load during training sessions or active walks. And what makes it so unique? 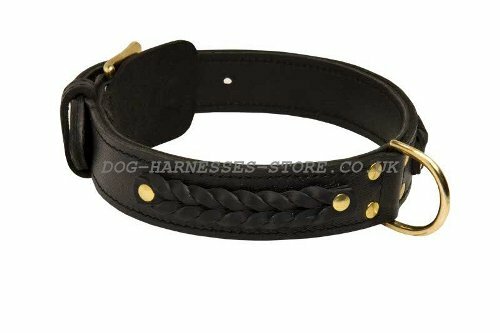 It is stylish braided adornment that is securely set on these thick leather dog collars with rivets. Your dogs will stay stylish even on the training field with our heavy-duty dog collars on. Take note, weight of this Doberman collar is 520 g. Use it only for strong dogs. 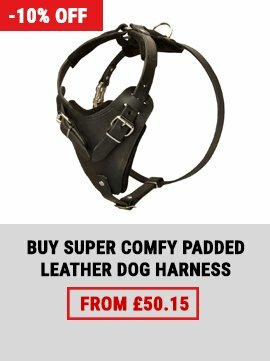 It suits training, walking, confident control over your active dog. 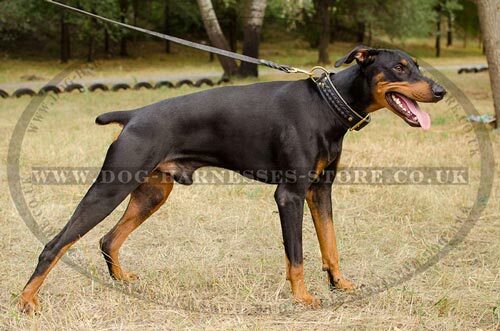 Choose the best Doberman equipment at our dog store.